WhatsApp is a popular messenger for communicating with friends and colleagues. With the help of the application, you can create a conference for an almost unlimited number of persons and conduct a joint discussion of the problem. Very often relatives or close friends cannot keep their curiosity in check and sin by watching someone else’s correspondence such way pushing them to seek ways how to hide WhatsApp Chat iPhone and other devices. Sadly, the WhatsApp developers did not implement the function of hiding or restricting access to the service for strangers. Although, the system of end-to-end encryption and data transmission itself is practically flawless and guarantees the confidentiality of the information sent. In the “Chat” tab of the WhatsApp application, you must select correspondence that you would like to hide from someone’s eyes. This can be done by holding the touch on the line of the desired chat. As a result, a check mark will appear in the icon with the avatar, and on the top of the screen an additional toolbar for working with the conversation. After that, just click the “Backup” icon and all correspondence with the selected contact will go to “Archived chats“. The chat tab no longer displays this dialog. If you need to view the archived data, just click on the “Archived Chats” and the user will see all the hidden correspondence. It is enough to find the right conversation and touch it. The preview opens in a new separate application window. This method can hardly be called a reliable way to protect data from “unauthorized” persons. However, there are no other methods of restricting access provided by the application itself. The Google Play Market is full of various software products offering additional access blocking for both a certain messenger and all at once for Android devices. As for iOS, the SLChat app for iPhone can be a perfect solution to protect important conversations and private photo and video files from too curious persons. The application offers numerous securing features like Alphanumeric passwords, PIN, Dotlock and TouchID providing a reliable protection of all necessary data with easy back possibility. Each user must make a choice based on its expectations and requirements from the application. Reading a huge amount of software reviews and feedbacks is possible to understand the strong and weak sides of the application and make a right decision about its using. The Android system offers its own arsenal of data protection for your mobile device. The only drawback is that the installed password cannot be enabled for specific applications only. Find the item “Security” in the “Personal” section of the phone settings. Next, select the “Screen Lock” line, which opens a tab for creating different types of passwords. Android OS offers 4 ways to protect user data: PIN code, password, graphic key, and password. The “No” line means no protection activated and need to select one of the methods. After creating the protection the selected blocking method will be shown in this line. To cancel entering the password later, click on this item. When choosing a photo-password, you should pay attention to the warning system. This method of protection is not very reliable for users who have similarities with close relatives. Most likely this kind of blocking will not become an obstacle for them. After clicking the “Configure” button, the system prompts you to create a checkout for identity verification. After that, the password will be created. If the smartphone’s camera breaks, the bypassing such protection will not be an easy task. Creating a graphic key is a simple and convenient way to lock. For this, you will need to connect at least 4 points in one motion in a special field and confirm the result by clicking the “Continue” button. While creating a PIN code, the user will be asked twice to enter a combination of digits with a length of at least 4 characters. The difference between the password and the PIN code is that the system will require you to enter at least one alphabetic character into the sequence. If you select any of the security methods, the system will prompt you to disable the preview of messages and missed calls on the lock screen. Having received a sound notification to view incoming calls and SMS, the user will have to enter the password every time. 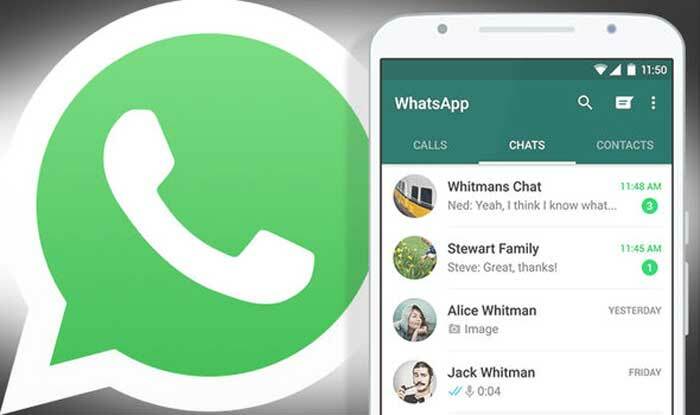 Unfortunately, you can not restrict access to the WhatsApp application directly on an Android mobile device without third-party software.